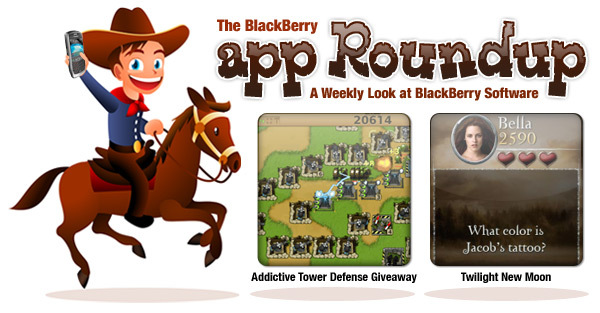 BlackBerry App Roundup for March 12th, 2010; Contest: 50 Copies of Addictive Tower Defense to be Won! Note: Don't forget, you can always search for titles featured in the App Roundup within App World... Some apps mentioned may be available there for your device. This is probably the giveaway I'm excited about the most thus far... in the Roundup's brief history of giveaways, that is! 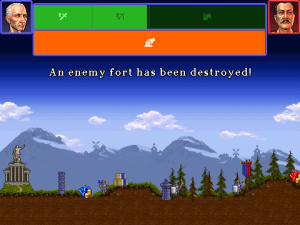 If you play games to kill some time or just to have some fun, Addictive Tower Defense is an awesome little gem. With versions available for the Storm series, all current gen BlackBerry devices and even many older ones (running at 320x240), Addictive Tower Defense brings classic Tower Defense gameplay to your Berry. Multiple maps, difficulty levels, tower types and detailed stats are just a few of the key features you'll find within. How long will it take you to become addicted to 'Addictive Tower Defense'? Leave your answer in the comments now... Good luck! If you enjoy sitting down at the tables to play a hand or two of Blackjack, GT Blackjack online is a must have. 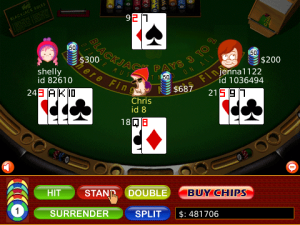 It's an online multiplayer blackjack game. Each table uses a virtual 8-deck shoe. You can play with other players from all over the globe, once you login to your account. Registering your account is free and easy, and right off the bat you're given 2000 free chips. Each morning normal users are topped up with 1000 free chips if their balance is below 1000. Give GT Blackjack online a try. It's free, fun to play, and heck, it's the #1 downloaded game in App World! For the Storm series only, Tilt n Jump Lite forces you to, well, tilt and jump! Control your 'ice cream man' and lead him to the top by tilting your Storm left and right. Jump on springs for a boost, or use the rocket to shoot your way to the top real quick. 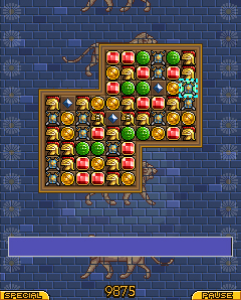 Enemies can be jumped on to eliminate them, and beware of bricks that may move or even explode. Gem Jam Lite may look familiar to some. If you've ever played Bejeweled before, you may notice the similarities! Swap adjacent gems to create a match of three or more. All matching gems will disappear from the game board, and new ones will appear in their place. If you clear multiple sets with one move, extra points are scored. As you progress through each level, you'll notice the bar at the bottom of the screen filling up... Fill the bar to the end of the screen and you'll progress to the next level! Important note: This one is compatible with the Storm series only, running a minimum of OS 4.7. Note: The full version is available for $2.99. If you enjoy a good wordsearch, you may want to pick up the new WordSearch app from Tafasa. WordSearch features an infinite amount of puzzles, a library of over 2700 words, 4 different puzzle sizes and much more. Two versions of this one are available, one for the Storm series, and another for all other Berry devices running at least OS 4.6. Who needs a pen and paper anymore!? Try WordSearch for word finding fun, no matter where you are! I'm so out of the loop. By the time the Twilight New Moon movie came out, I still hadn't heard of the darn thing.... and to tell you the truth, I still don't know a darn thing about it, and that's fine with me. 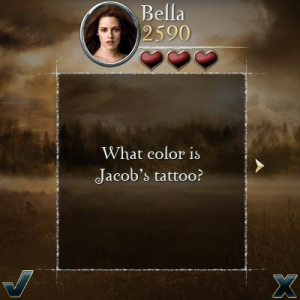 That said, if you know who Bella, Edward or Jacob are, you may want to give the Twilight game a look. This one is for all intents and purposes a trivia game in which you compete for the highest score by answering hundreds of questions. Test your New Moon knowledge, I guarantee you'll do better than I will! In this arcade classic from GrayMatter Software, it's up to you to defend your cities from destruction by incoming missiles. Inside you'll find three difficulty levels. Progress through them as you get better and better at defending your cities! Can you survive the waves of attack to save your cities and your people? Try it and find out for yourself! In this tile-swapping puzzler from SkyZone Entertainment, explore Atlantis and the Seven Wonders of the Ancient World using detailed and animated maps to help you solve each puzzle. Compatible with all current Berry models including the new Storm2, The Rise of Atlantis should be on your radar if you enjoy a solid puzzle game every now and then. Another one from Tafasa, Memory is exactly what you'd expect it to be... a memory game! Test your wits in this card matching classic. Clear the board by flipping pairs of cards, eliminating them as you find the matches. 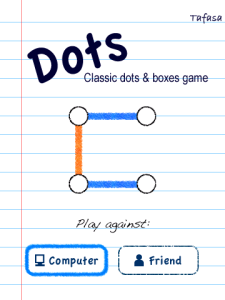 Try to clear each level in as few moves as possible for high scores. In the game you can choose between 4 different card types, namely numbers, letters, symbols and colors. The game will also save your high score and fastest time. Two versions of this one are available, one for the Storm series, and another for all other Berry devices running a minimum of OS 4.6. Last week I mentioned a Sid Meier classic, Pirates! (I love that game). Staying on the Sid Meier tip, there's another title out there that will appeal to many that dig the Civilization series. Of course, I'm talking about Civilization IV: War of Two Cities. In it, you defend your city from attacks by a neighboring (and enemy) city. They'll do anything to destroy you, so it's all up to you to defend, retaliate and take the battle to them. The gameplay is a little different than you'd expect due to the limitations of such a small screen, but that said, gameplay is simple and enjoyable. Have news on BlackBerry Apps? New BlackBerry Apps, Updated BlackBerry Apps, Free BlackBerry Apps... it's all good! If you have any software news tips send them in to me at softwareroundup@crackberry.com. I can't do it without your help! Of course, we also have many more New BlackBerry Apps, Updated BlackBerry Apps and Free BlackBerry Apps available at ShopCrackBerry.com. Be sure to visit our software store for more great deals on BlackBerry Applications!